Terry-Pauline Price was born in Melbourne into a family of artists and musicians. She holds the distinction of being a direct descendant of the German composer, Schumann. After a period of traveling and living overseas, Terry returned to Australia to study Art and Design and she has painted successfully in Australia since 1986. Terry’s harmonious, and at times surreal, paintings are characterized by her combination of naive style with vibrant colour and a strong emphasis on the fall of light, which she uses to portray the distinctive shadows and aura of the Australian landscape. Concentrating on the Australian outback, Terry brings freshness to this popular subject with her whimsical compositions, attractive textures and delightful colour. 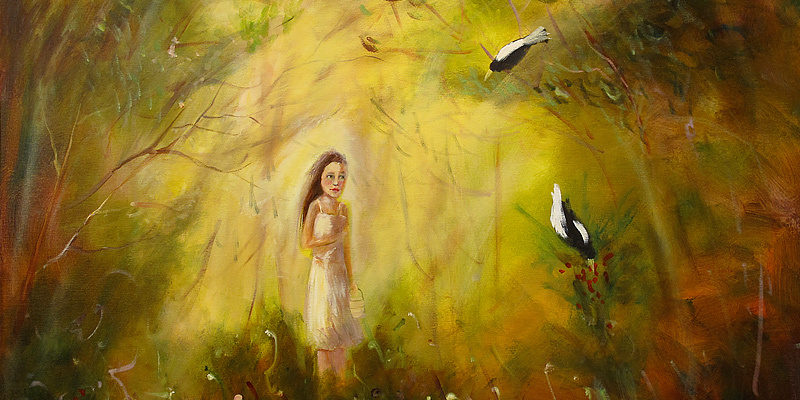 Terry-Pauline Price has been exhibiting widely throughout Australia in Victoria, New South Wales and Queensland. She has won several art awards and has completed many commissions. Terry-Pauline Price’s paintings are represented in numerous private collections in Australia, New Zealand, the United States of America, France, Italy and England and her work continues to be popular with collectors.